Information on all flight assistance for flying with pets, taking service animals on planes and rules for services animals on planes. Airports and airlines will offer help to all passengers travelling with pets, service animals and what to do when taking an emotional support animal on a flight. Read through below for all information on taking animals on flights. Do you need to take an animal on a flight? Alternative Airlines can help you arrange air travel for your trusted companion and for taking pets on planes. Organising air travel with pets or Emotional Support Animals can be a long, stressful process, so let Alternative Airlines do the hard work for you. Buy your flights with us and we will sort out the appropriate service for animals on planes. Please call Alternative Airlines as soon as possible if you know you will be traveling with a pet. Before you make a flight reservation with us, we advise you to make sure you check the animal transportation regulations of the airline you wish to fly with. Airlines may have various prices and requirements when it comes to flying with animals. Keep reading for some examples of animal regulations for the world’s biggest airlines, as well as some facts and tips to help your furry friend’s journey go as smoothly as possible. If you have any questions about flying with pets or emotional support animals, contact Alternative Airlines and we will be happy to help. We can provide you with information on which flights and airlines are best suited to you and your animal’s needs, and, when you’ve found the perfect flight, we can make a reservation straightaway. It’s that simple! Click on the links below for more information about getting your animal on a plane! Flying with pets is a lot more common than people think. It can, however be quite a complicated and pricey affair. With every airline having different pet policies, it can leave a lot of unknowns. Will your pet be able to stay in the cabin with you? What if your flight has a stopover? Will your pet need to travel in the cargo hold? Is travelling in the cargo hold safe? That’s where Alternative Airlines comes in. We want to put your mind at ease, so you know who to fly with and exactly what to expect when you fly. What are the rules for service animals on planes? at least eight weeks old and fully weaned before traveling. in good health. Only pets in good health are permitted to fly; airlines will not transport animals that are violent, ill, or in physical distress. All pets crossing state borders, with the exception of guide dogs, are required by the U.S. Department of Agriculture to have a rabies immunisation and valid health certificate issued by a licensed veterinarian within 30 days of travel. If your pet is traveling via cargo, or if you are a breeder, dealer, or research facility transporting a dog, the health certificate should be issued no more than 10 days before departure. You must wait 3 calendar months from the date the blood sample was taken before you travel. You can see a full list on bringing your pet to the UK. If your pet, emotional support animal or service animal from an unlisted country enters the United Kingdom via an EU or non-EU listed country, it may enter the UK without quarantine as long as they meet EU entry requirements, listed above. Is it safe to transport my pet? Sometimes when airlines use terms such as “checked baggage” or “air cargo”, it makes it seem like your doing something inhumane to your precious pet. In actuality, both describe humane ways of transporting animals. Animals traveling in the cargo hold are transported in the same pressurised holds as those in the checked baggage system. This doesn’t mean they are treated like baggage! The areas in which your pet may be held are regulated to the same standards as the cabin you will be sat in. Pet safe airlines are dedicated to making sure pets have a safe experience. In fact, the rate of negative incidences of pets on flights is astronomically low. Some airlines are more pet friendly than others, as airline requirements vary. See all approved flight routes for pet travel or contact Alternative Airlines. We can help you find the best airline for your pet needs. Can service animals fly on planes? Yes! And it is safe too. As long as the animal in question has gone through the necessary checklist and guidance provided by the airline that the pet and owner are flying with then you can. Make sure you read above on the rules of travling with a pet and emotional service support animals on flights. Is there a flight ticket discount for flying with a pet? No but Alternative Airlines are happy to help and go through the procedure with you and understand your travel situation. Can my pet come in the cabin with me? Have Adequate ventilation on all sides. What is important to know is that you may only transport your pet as checked baggage if you are a passenger traveling on the same flight as your pet and the combined weight of your pet and its crate is under about 70 pounds. Of course, this varies airline to airline. Read some of our example airline requirements below or contact Alternative Airlines for further information. If you can fly direct, it’s probably best for your pet to not have to many disturbances. If there are no direct flights between your point of departure and destination, keep layovers quite short and avoid going through the UK or Japan to cut costs. If you change airlines when travelling with a pet you will have to claim and re-check your pet. Some airlines offer frequent flyer miles for travelling pets! At Alternative Airlines you can filter your flight search for certain airline alliances to make the most of your frequent flyer scheme. If you’re interested in finding out more about frequent flyer programs, read out article on the best rewards schemes 2018. Most airlines will only allow a certain number of pets in the cabin. Additionally, there will be a cost to bring your pet in the cabin with you. Your pet’s ticket cannot be purchased online for any airline that we are aware of, but we can organise it for you at the same time as your plane ticket if you wish! Take your dog on an epic stroll before the flight to help them feel less agitated about being cooped up. Just like you do with children! Airports are required to have a space for service dogs to use the bathroom. Usually it is only a small patch of fake grass, but it’ll have to do. If your layover allows you enough time, make sure that your pup has the chance to go pee before hopping on the next plane. Despite what we just said, please be aware that not all airports have the same level of facilities, especially in terms of pet travel. Just like you may need a special airline, check the airport you are stopping/ arriving into is able to cater to any needs you may have. Call Alternative Airlines for any further information. Where do service animals sit on planes? Good question. Many airlines have different rules and regulations where emotional animals and service animals are allocated on the plane. See below of some of the airline's rules that allow for pets. Many airlines allow pets on international flights. Whichever airline you choose to fly with, you will always need to call and reserve your pet’s travel with Alternative Airlines. While some airlines allow pets in the cabin, others do not and while there is always an administrative charge for the transport of animals, these can vary hugely by airline. Research all these factors before you select a carrier. Here’s a few of the requirements of some of the world’s biggest airlines. British Airways do carry pets but they must travel in the hold as cargo if they are not a registered assistance dog. The service is managed by British Airway’s sister company IAG World Cargo. Virgin Atlantic accept cats and dogs on certain flights to and from Antigua, Barbados, Boston, Chicago, Cape Town, Dubai, Hong Kong, JFK, Johannesburg, Los Angeles, Miami, Newark, Orlando, San Francisco, St Lucia, and Washington. The cost depends on the size of the pet’s travel box size, you’ll have to call Alternative Airlines for a specific quote. KLM allow small cats and dogs (max total weight of pet and carrier – 8kg) in the Economy Class cabin on most KLM flights and Business Class cabin on most KLM flights within Europe. Alternatively, larger cats and dogs (max total weight of pet and carrier – 75kg) can travel as check-in baggage. Pets that weigh more than 75kg can travel as freight with Air France-KLM Cargo. Costs vary depending on the destination. Lufthansa allow small cats and dogs (max total weight of pet and carrier – 8kg) to be carried in the cabin. Larger pets are transported in the hold. Costs depend on the destination and size of the carrier. Animals are not permitted in the cabin of Emirates flights. Exceptions are made for falcons between Dubai and certain destinations in Pakistan. Guide dogs are permitted. Pets are not included in the free baggage allowance and incur a fee. Fees start at $35, and depend on whether the animal is being stored in the hold or cabin. Full fee information is listed online It is charged per kilo, and based on how many 'zones' travelled through. Apart from assistance dogs, all dogs and cats travel in the hold of the aircraft. You may travel with your assistance dog on domestic routes and on international routes from these airports: Birmingham, Exeter, Manchester, Newcastle and Southampton. These airlines don’t carry animals and will only transport service animals (eg. Guide Dogs) from some airports. Thomson will carry pets in the cargo hold (contact Cargo department 0203 4327828).You can ask for your pet to be carried on most Thomson Airways flights. Passengers should complete the booking form at AIA Pets, where fee information is available for your specific animal. If you're travelling to Europe, your pet will just need a pet passport. Pets will be stored in the cargo, and all travel boxes must be fitted with a water container. Germanwings allow to take cats and dogs in the cabin only. Pets must be in a suitable bag, not a hard carrier, and must have a combined maximum weight of 8kg. Germanwings do not carry animals to or from the UK and Ireland. Dogs and cats less than 6kg can be carried in the cabin. This comes with a charge of €15* per animal. Cats and dogs less than eight weeks old are not permitted. Animals must be in a closed hygienic watertight bag or basket. In order to travel with an emotional support animal without any additional fee or costs you must have an ESA letter. As well as this, Airlines will require that your ESA should be well-behaved in public and calm on the plane (this may mean training your ESA yourself). This will not only save money but also ensure you have a pleasant experience flying with your dog. If you think you may require an emotional support animal, you must fill out a particular ESA questionnaire. The result of this questionnaire will determine whether or not you are eligible for an emotional support animal (and cost you a fee if you are). If you have any questions please contact Alternative Airlines and we can assist you with your enquiries. Here are some examples from a few of the world’s biggest airline’s regulations. If you have any questions about other airline’s requirements, let us know and we can get you all the information you need. American Airlines requires a doctor's letter in advance to bring your support animal with you. Also, a large dog will not be allowed. American requires animals to "fit on your lap, at your feet, or under the seat, and cannot block the aisle." For travellers headed to Auckland, New Zealand, emotional support animals aren't allowed. United requires a letter from a doctor and a vet record, along with confirmation the animal will behave in public. Animals are limited by size also as they must fit at passenger's feet and not "protrude" into the aisles or other areas. Delta doesn't allow emotional-support animals on flights longer than eight hours and emotional-support animals under the age of four months are not allowed on any Delta Airlines flight. Southwest also allows support animals to ride with passengers if those animals don't block evacuation routes. But if you have an "unusual or exotic" animal it won't be allowed on. That includes rodents, ferrets, insects, spiders, reptiles, hedgehogs, rabbits, and sugar gliders. While on JetBlue flights, emotional support animals need to be on the floor or on a passenger's lap. As seen in a recent incident, the animals aren't allowed to be on the seats. Need other flying services and assistance? The American airline Southwest Airlines has enforced stricter rules on travleing with emotional support service animals on planes. The airline is now only allowing cats and dogs. This means that pigs, hedgehogs, ferrets and spiders are now on the no-fly list. The new policy will be effective from 17th September. Added to the regulations is that the emotional service animals will be allowed to 1 per flyer. The new rules come into play due to crew and airline staff complaining about allergies, soiled cabins and biting. 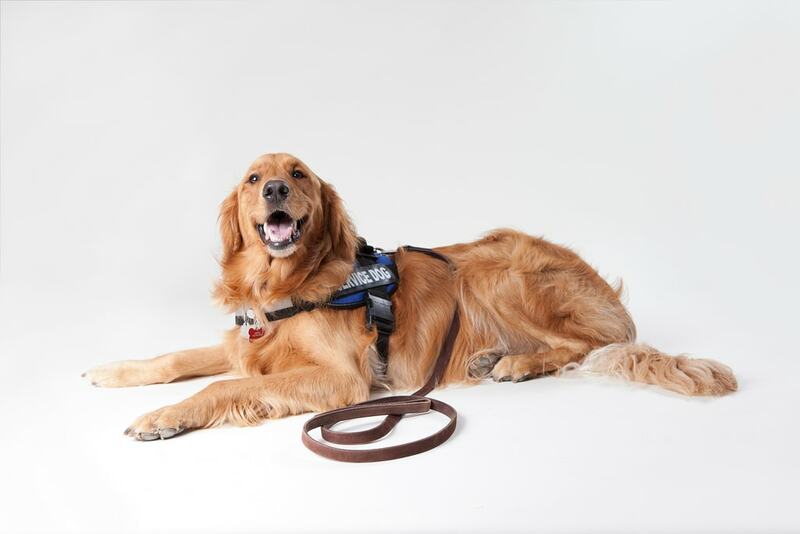 Delta Air Lines has changed their policy regarding support animals. From 10th July 2018, passengers flying with Delta Air Lines will only be allowed to fly with one support animal per person. In addition, Delta will no longer allow pit bull dogs on their flights either. This comes after a number of incidents where service and support animals have attacked Delta employees, causing the airline to be stricter on their support animal policy. CEO of Delta, Gil West, stated that safety comes first for Delta regarding its passengers and employees and that Delta will continue to challenge their safety regulations to make sure it's of the absolute highest standard. After a series of unfortunate incidents for the airline, United Airlines has decided to limit the types of pets that it is allowed to transport aboard its planes. The Chicago-based airline will allow you to make United reservations with animals from this coming summer, but the rules and regulations will have changed. Some of the rules, for instance, state that they will only accept dogs and cats and will exclude some snub-nosed and strong-jawed breeds. It also won’t transport animals through four airports in hot climates in summer. The more conservative approach is meant to “improve the safety of the pet travel experience,” United said Tuesday. But it also leaves owners determined to travel with their pets — especially those often subject to airline restrictions — with one fewer option. Check out all of our payment methods.